Residential Service - Bosworth Co. The Bosworth Company is an industry leader specializing in residential and commercial services in the Kerrville, TX area. We are readily available for water treatment services, attic insulation and drain cleaning, in addition to the services we’ve built our name on – HVAC, plumbing and residential electrical work. Our superior customer service and commitment to quality is what sets us apart in Kerrville, Texas. 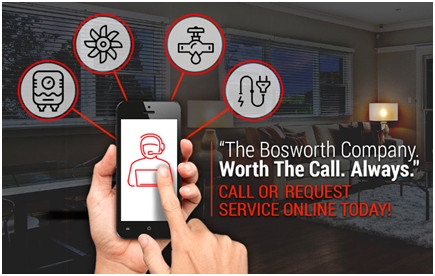 NO MATTER THE RESIDENTIAL SERVICE YOU NEED, THE BOSWORTH COMPANY IS ALWAYS WORTH THE CALL. Rest assured that our knowledgeable NATE-certified techs will treat your home as if it is their own during each and every visit. All of our electrical services are completed by licensed electricians.